For more information, please don't hesitate to contact us. We are open between 8am and 7pm, seven days a week. 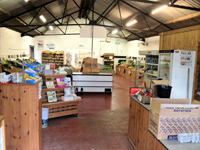 Local fresh produce right on your doorstep.